T. V. Sairam, a senior member of the civil services, holds a master’s degree in botany and a doctorate in alternative medicine. For the past three decades, he has been gathering and documenting data relating to the household use of medicinal plants. I remember about a year or two back, my colleague gave me a set of essays to mark and rate for an inter-school competition. The topic for that was Grandma’s Home Remedies. It was fun to read the various takes on the topic, and some of them were not only well presented, but well written, so much that I could find myself thinking of these remedies that my grandmother had shared with and tried on me when I got the ailments. I’m sure you can too, right? Salt for mouth ulcers, or jeera for digestion, I think at one time or another, most of us might have heard these age-old remedies. 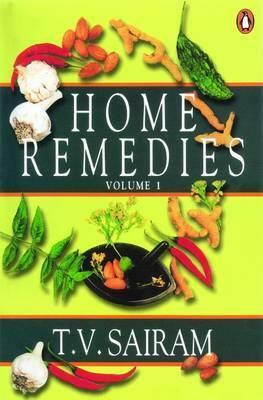 This book is almost an encyclopedia of how to use these medicinal plants which are quite easily known or identifiable. Plants like mango or lemon which are easily obtainable are given here. Each plant may have lots of uses in various ailments, like pimples or swelling, and bigger stuff like obesity and diabetes. They are very systematically arranged and indexed in the book for easy use. When I chanced upon this book at my local library, I was immediately attracted to it. There are parts at the very beginning of the book on “How to use the book”, “How to prepare it” etc. So I urge any readers to go through those parts carefully, or if still doubtful, consult a physician before trying anything out. After all, a remedy not taken or administered correctly could lead to more complications. I’m just a reader, not a doctor!